Sometimes, life isn't going the way we want it to because we're simply not asking the right questions. Our focus is on our circumstances or our problems. We're asking why me? when we should be asking what next? With his signature infectious positive energy, John Mason offers readers looking for direction this simple yet powerful message of encouragement and hope--you can seize today and uncover a brighter tomorrow. For anyone who feels stuck, who yearns for a change but isn't sure just how to pursue it, Mason shows that the most powerful tool we have is asking ourselves the right questions to get the right answers. 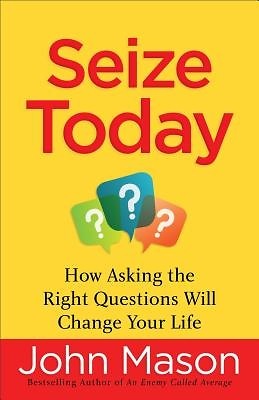 These bite-sized readings are perfect for busy professionals, overworked moms, entrepreneurs, and anyone looking for an uplifting boost.